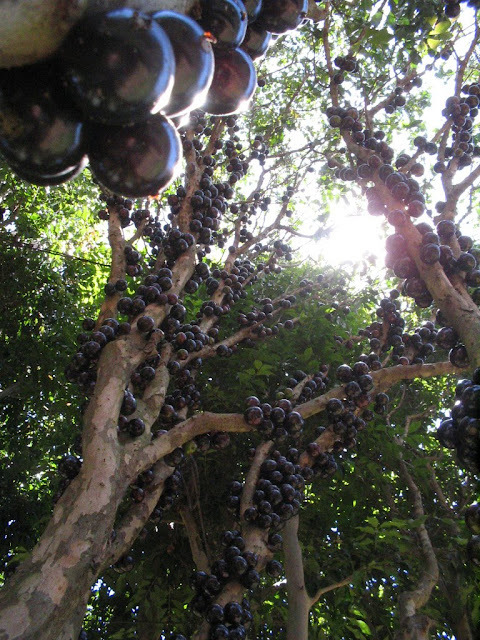 Otherwise known as the Brazilian Grape Tree, this plant is native to South America, notably Paraguay, Argentina and (obviously from its name) mostly from Brazil. 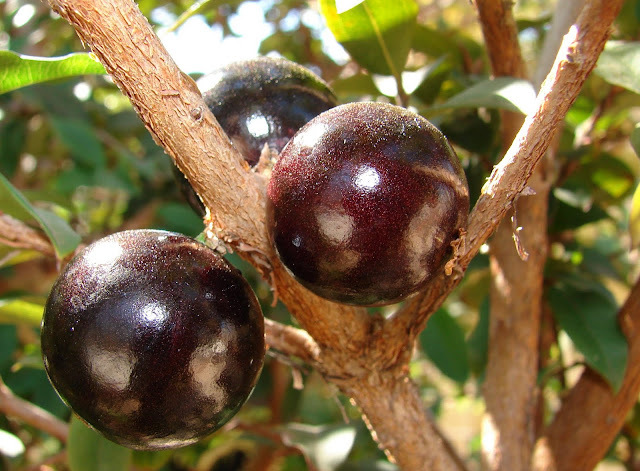 The fruit, a succulent looking purple color can be plucked and eaten straight from the tree. It is also a popular ingredient in jellies and is also juiced to make a refreshing summer drink. What is more it can be fermented and made in to wine and strong liquor. After three days off the tree the fermentation will begin so sometimes, there is no choice. Honestly. If you want one of these in your garden then you have to be patient. The tree takes an age to grow, but once it reaches maturity it is worth it. However, it has proven to be very adaptable and although it prefers moist and slightly acid soils it will even grow well in an alkaline type soil. 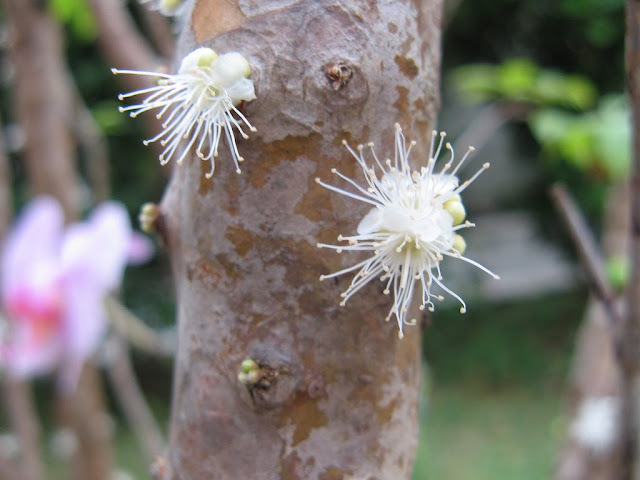 The flowers themselves appear on the tree at most twice a year – naturally. 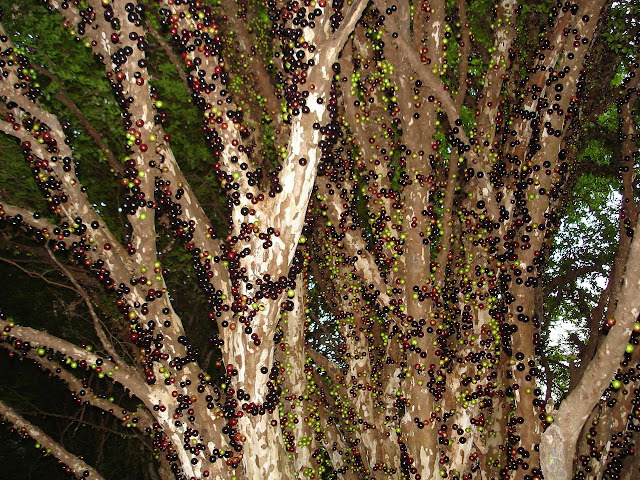 They look like some strange alien creature that has deposited itself on the trunk and branches. The habit of flowers doing this makes them cauliflorous. 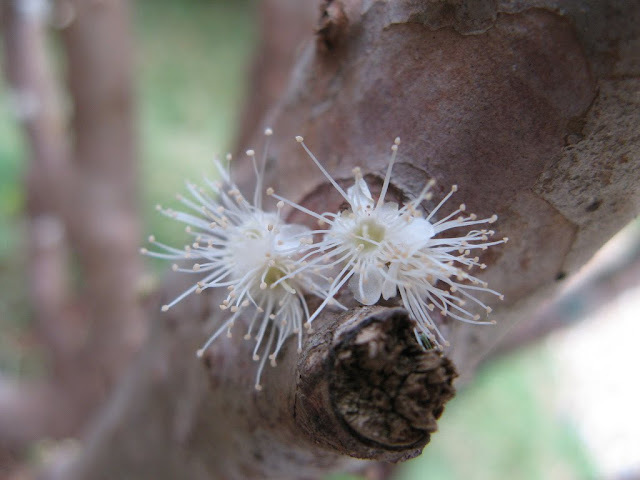 Instead of growing new shoots these plants flower direct from the woody trunk or stem. You might ask why it is this way. 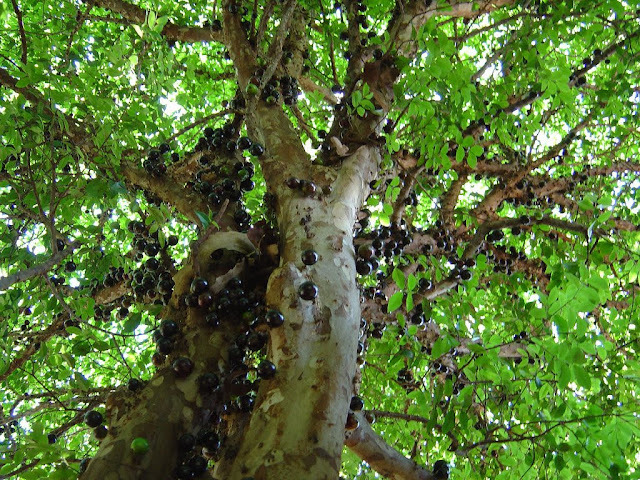 The simple answer is that it has evolved in this manner so that animals that cannot climb very high can reach it, eat it and then expel the seeds away from the parent tree to further propagate the species. 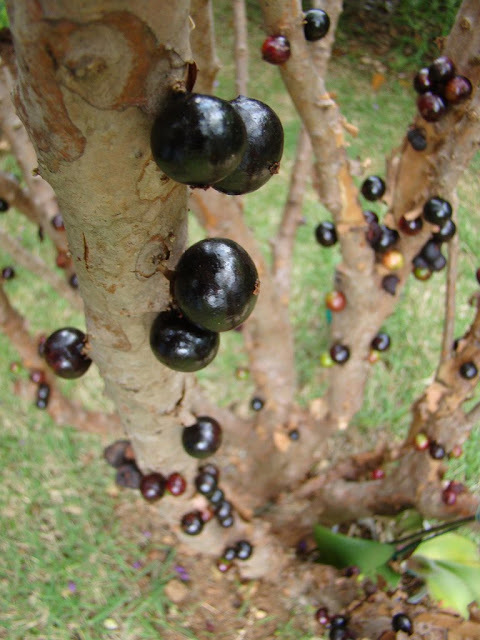 If the tree is well irrigated then it will flower and fruit all the year round. 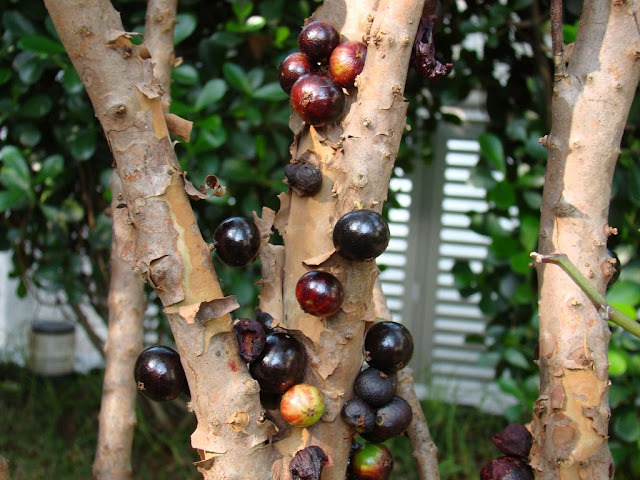 The fruit itself is about four centimeters in diameter and has up to four large seeds. 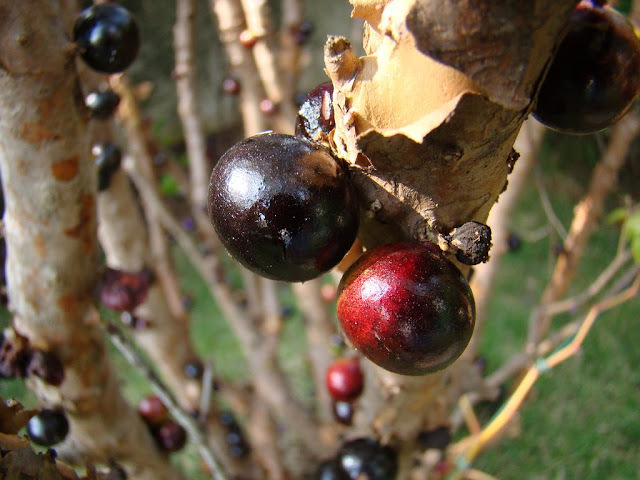 As well as being used as food the skins can be dried out and used to treat asthma and diarrhoea. If your tonsils are swollen you can also use it to try and alleviate the inflammation. 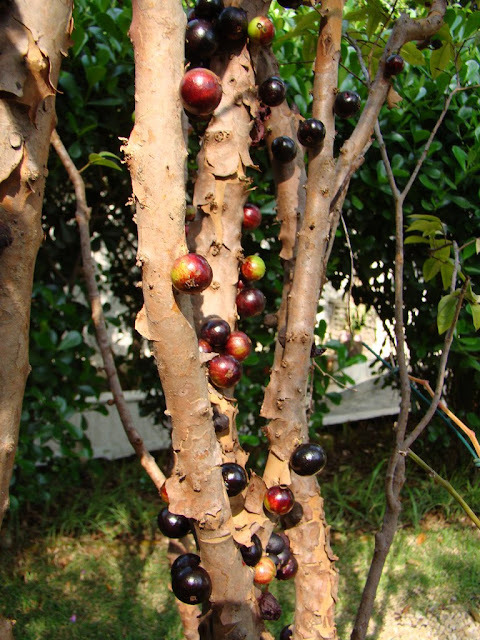 It is also hoped that the tree will be useful in the fight against cancer as several anti-cancer compounds have been found in the fruit. Altogether a useful tree if a slightly strange looking one.